 This examination is being given to fill one vacancy in the Behavioral Health Services Department of San Joaquin County's Health Care Services Agency and to establish an eligible list which may be used to fill future vacancies. Resumes will not be accepted in lieu of an application. Applications for this position will only be accepted via online submittal. A completed application must be received online by the final filing deadline. Provides professional journey level support in the development, programming, testing, implementation and maintenance of applications across multiple platforms and technologies. Participates in the evaluation and testing of new or enhanced applications; installs or upgrades application software and hardware on personal computers; troubleshoots hardware, software and database related problems; performs applications testing and documentation duties. Performs applications programming duties; determines method of integrating new programming code into existing programs to meet user needs. Installs, maintains and supports existing applications; responds to client calls and requests for application programming modifications; codes, tests and de-bugs program modifications; creates various reports, charts and other materials from multiple layers of data. Writes documentation on new and enhanced applications including detailed descriptions and functional capabilities; prepares and updates user materials and procedures manuals. Coordinates and conducts user training education and discussion sessions; participates in the creation of new courses and classes; recommends proper use and functionality of application; evaluates training courses to ensure they are effective. Learns to analyze current systems and application structures to determine methods of integrating new applications into department systems operating environments. Learns to analyze functional and business requirements for new or enhanced applications design and development. Learns to develop data flow diagrams and other systems documentation to create application specifications. Note: Incumbents who, at the time that Classification Study #01-22 is adopted by the Board of Supervisors, occupy full-time Civil Service positions reclassified to this class by the study, shall be deemed to meet the requirements listed below. Experience: One year as a Department Applications Analyst I in San Joaquin County. Experience: One year of professional analytical applications/programming work in an information systems environment. Substitution #2: Additional qualifying experience may substitute for the above-required education on a year-for-year basis to a maximum of two years. Operations, services and activities of information systems programs; principles and practices of application programming; a variety of application programming languages; personal computer hardware and software components; principles and practices of computer science and information systems; operational characteristics of a variety of computer systems, networks and associated hardware, software and related components; methods and techniques used in the installation, troubleshooting and maintenance of application hardware and software; methods and techniques of using application design and development tools; database principles and concepts; methods and techniques of developing and writing technical documentation; principles and practices of customer service; pertinent Federal, State and local codes, laws and regulations. Provide support in the implementation and maintenance of various applications; operate a variety of computer systems and equipment; detect, isolate and resolve application hardware and software problems; apply a wide variety of application programming languages; create and develop various reports, charts and materials; analyze and resolve application problems using logical and methodical processes; install, troubleshoot and upgrade applications; perform application programming and routine analysis duties; create and develop technical manuals and documentation; learn methods and techniques of application design and development; communicate clearly and concisely, both orally and in writing; establish and maintain effective working relationships with those contacted in the course of work.